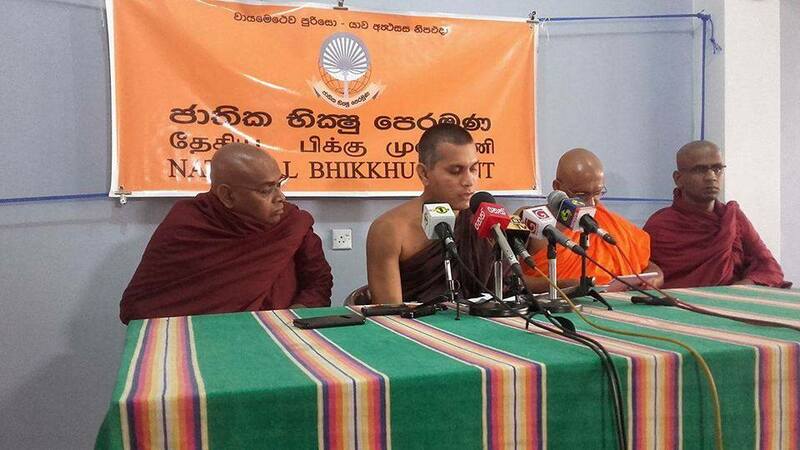 At a press conference held by the Bhikkus of National Bhikku Front (NBF) to apprise the public regarding its views on the budget proposals for 2017 presented to Parliament by the Minister of Finance Ravi Karunanayaka it was stated that the budget was one that deceived the Maha Sanga and the country keeping Mahanayaka’s as sureties. Ven. Wakmulle Uditha Thera, the General Secretary of National Bhikku Front, said despite stating in the budget that novice priests would get a ‘Pirivena scholarship allowance of Rs.2500 a month, no such fund has been allocated and the proposal is nothing but a canard. He said only Rs. 50 million has been allocated for such a scholarship fund but Rs.89 million is needed to give a scholarship to novice priests who study in pirivenas in the country for one year. He said by making statements that proposals had been discussed with Mahanayakas the Mahanayakas as well as the people in the country have been deceived. Another Rs.150 million has been proposed for facilities in Pirivenas and to develop skills of ‘Pirivena’ teachers said Ven. Wakmulle Uditha Thera and warned that all allowances promised in the budget should be given without any cuts. 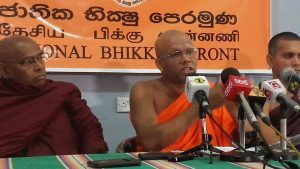 He said NBF would inform the Mahanayakas about the fraud carried out by the government that all proposals in the budget had been agreed at the discussion with Mahanayakas.